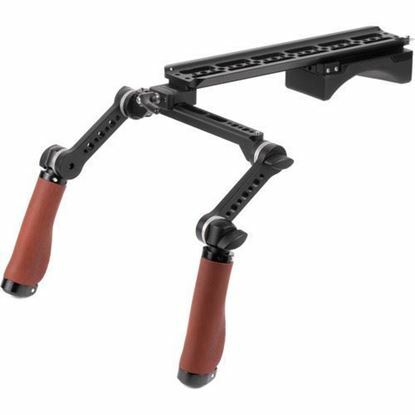 The Shoulder Rig v2 (Mid) from Wooden Camera is based on ARRI standard dovetail and rosettes with wooden ergonomic handgrips. 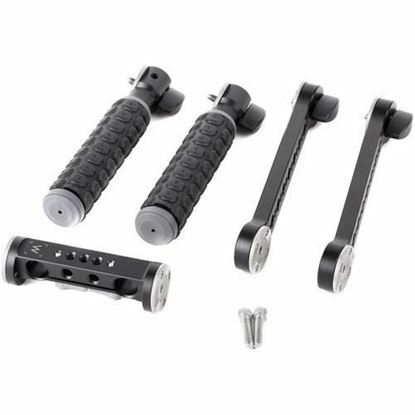 The crossbar can be adjusted left and right on the NATO standard rail by unlocking center thumbscrew. 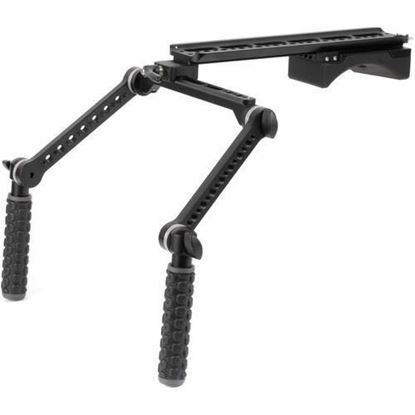 Included Rosette Arms position grips comfortably in front of your body. 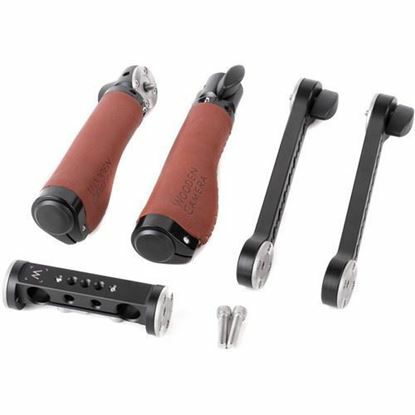 In addition, each arm measures 5". 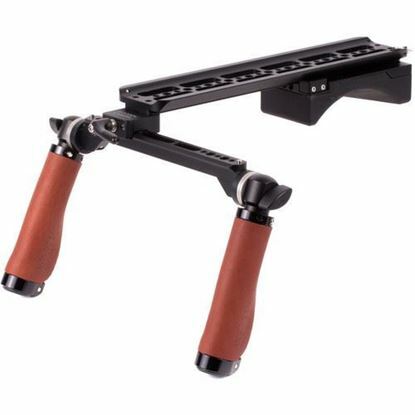 The Arca-Swiss style dovetail underneath the ARRI standard dovetail allows the shoulder pad to be adjusted forwards and backwards or quickly removed. 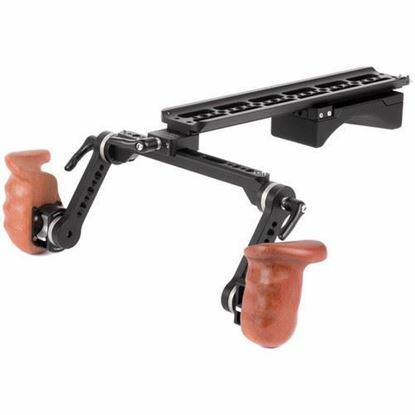 There are threaded holes on the shoulder pad, crossbar, and handles for attaching accessories like monitors, rod clamps, cheeseplates, battery mounts, and more. 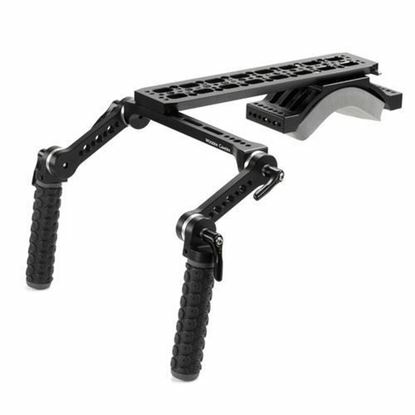 In addition, the rig is compatible with the NATO Lock Magic Arms and Ultra Arm for quickly moving an LCD from the camera to shoulder mounted position. 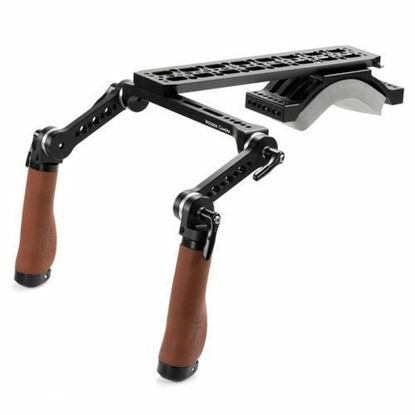 This item is available for PRE-ORDER. 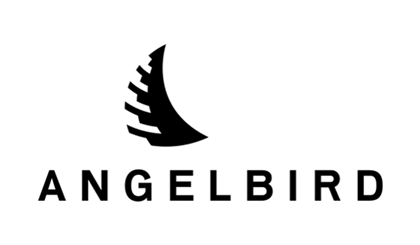 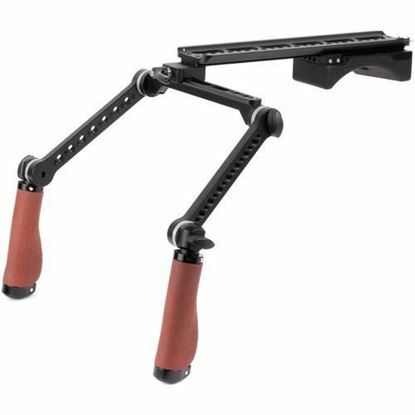 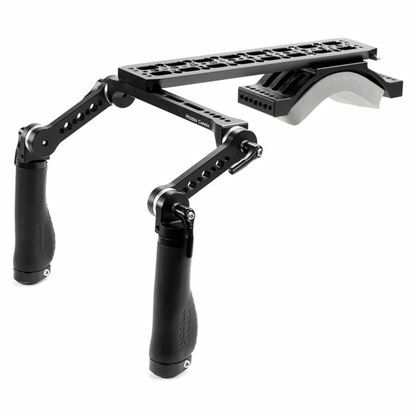 A major update to our popular Shoulder Rig at a lower cost! 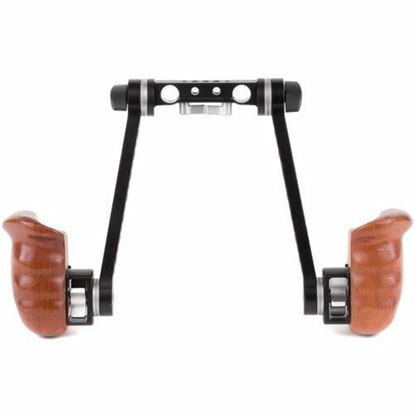 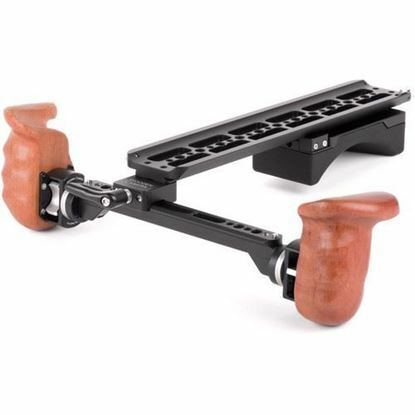 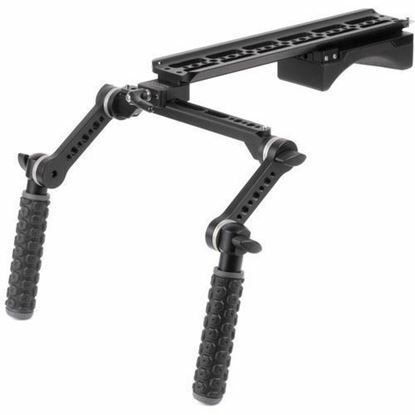 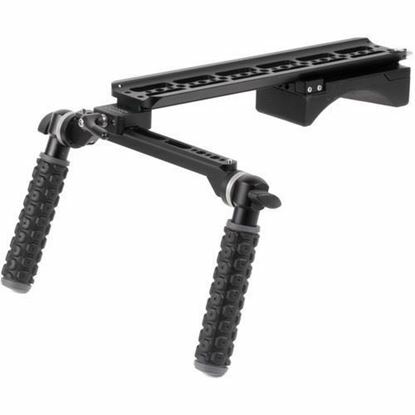 Now including telescoping arms, additional arm rotation points to widen or narrow grip spacing, a larger and more durable shoulder pad, lighter weight design, and an integrated kickstand for setting the rig down.